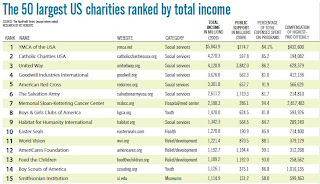 Recently, as I [Pete] was checking a myriad of tweets (I'm a very sporadic Twitter user), I came across a link to "The 50 Largest US charities ranked by total income" which included Campus Crusade for Christ. To say the least, I was intrigued how we'd stack up! According to this report (download the PDF here), Campus Crusade ranks #30th in terms of total income but more significantly we are the ONLY charity where compensation of highest paid official is less than $100,000! 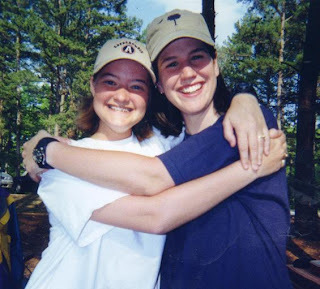 In fact, the next lowest was close to twice Campus Crusade's highest paid staff member -- hint: that's not us :-) !! Ok, so comparison can be a bad thing, as it can lead to either jealousy or self-righteousness, but I believe there is a place for a report like this as both the workers and the donors have a right to know how their gifts are used... it's part of stewardship! We are blessed to work for a ministry where financial accountability and stewardship is a core value! Please know that your generosity is going directly to fund this work. We are humbled to serve like this and we praise God for you in Christ Jesus. Thank you so much for your faithful and generous support of our ministry and family! Since the beginning of the semester, they have been leading a freshman girls Bible study in one of the parlors of a freshman dorm. 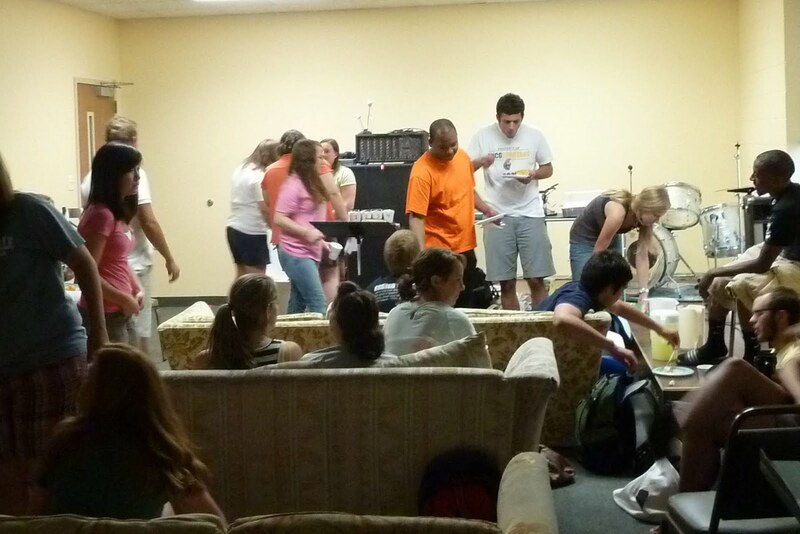 Last month (sorry so late a post) they decided that the whole Bible study (11 girls) would go around the dorm on Halloween and bring candy to anyone who was in their rooms. They met lots of new girls and invited them to the Bible study. 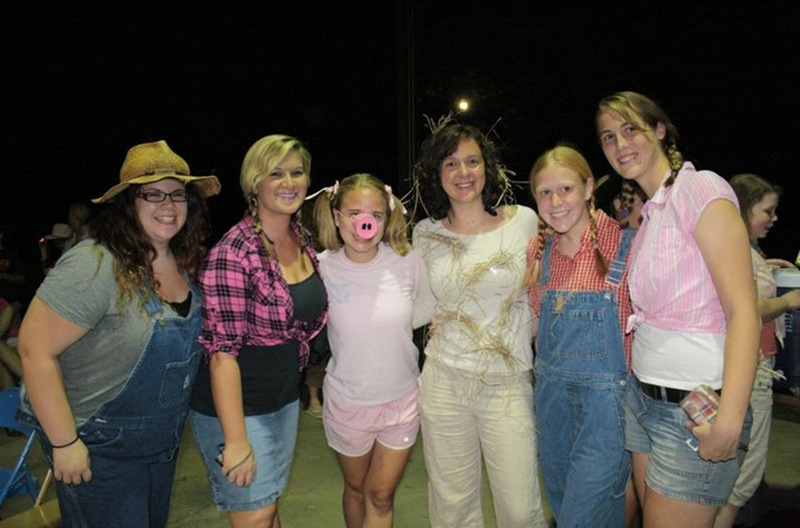 The next week two girls they met during the "reverse trick-or-treat" outreach came to the Bible study. In addition to that, another girl randomly passed the parlor and said, "This is a huge study group." Amber and Caroline said, "actually this is a Bible study, want to join us?" And she did. And all three girls are still coming regularly. What makes this extra neat is the timing in the semester. Most Bible studies are established by September and very few new people begin coming after that. As the semester gets busier and students are becoming more involved in their established groups - seeing that kind of increase is really, really rare. But God is definitely at work on this campus! Thanks for praying! In the photo are Amber and Mary, student leaders who I (Carra) have the privilege of mentoring each week. Amber is on the left, Mary on the right. They are students at UNCG and women who have a passion for growing closer to Christ. I love watching God work in their lives! Mary asked, "So do you believe in absolute truth?" Later on a bit, she asked, "Do you think there is such a thing as right and wrong?" She hadn't seen this guy before so there's not a good way to plan future conversations. However he met a Christian young lady who knew her faith and how to articulate it. And.... you never know their paths might meet going across campus again. This was the most attended Fall Retreat in the Triad's history! We had over 150 students from UNC Greensboro, High Point University, Greensboro College, Wake Forest and Guilford Technical Community College! The weather was perfect ~ The speaker was challenging ~ Students were glad they came. Fall Retreat is so key for building connection and momentum. 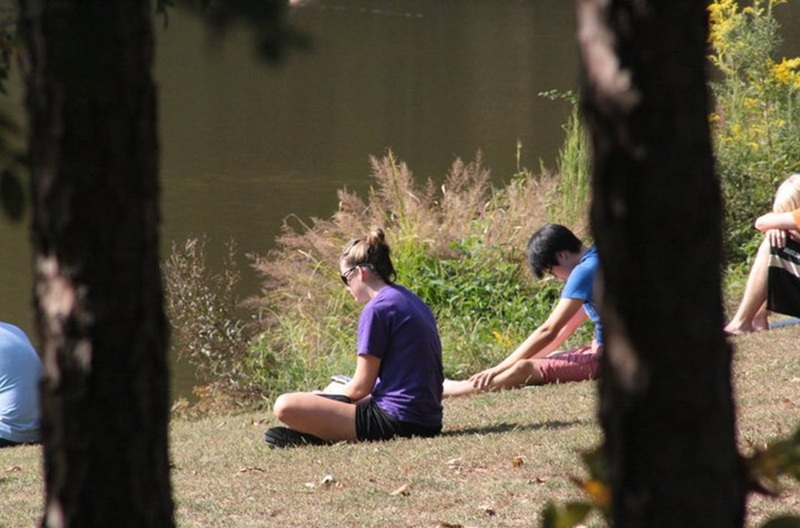 Without the shared experiences offered by Fall Retreat, many students become disconnected from the movement and often fall off from the ministry. 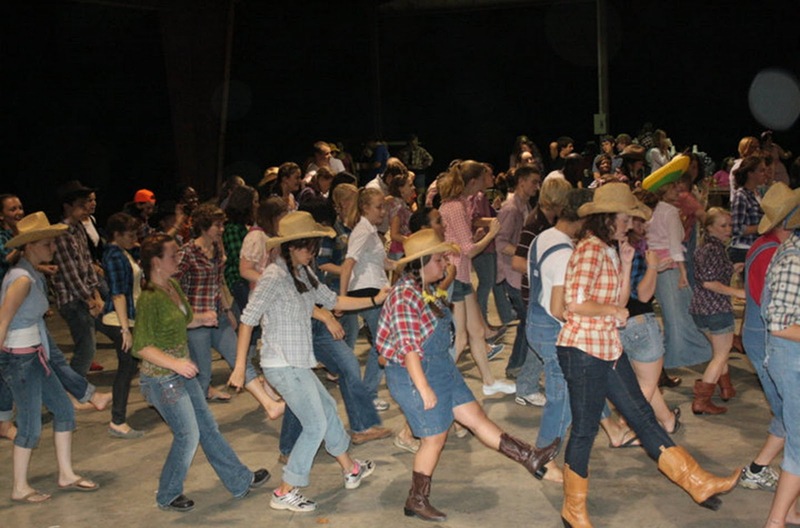 As you can see, we had a "Down at the Barn" party on Saturday night. After a weekend of being challenged spiritually and having fun - they're bonding! It has been a busy week on all the campuses. Hundreds of students have been contacted (and hundreds have attended the first main meeting). Bible studies have begun this week on most of the campuses. 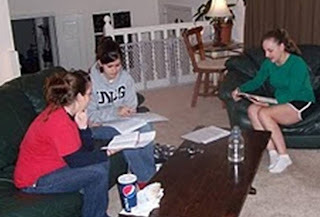 When Pete and I were at Clemson University, the small group Bible study was a huge part of our growth. The large group meetings provide momentum and solid teaching but the Bible studies are where students really discover Biblical community. When I went to my first Bible study, I remember there was a girl who asked for prayer for her first date, and another who talked about how much she wanted to live just like Jesus and struggled with doing that. It was the first time I saw my peers honestly and outwardly desiring a close walk with Jesus. It made me want more. We are praying that in all these small group Bible studies - there will be young people who see their leaders (fellow college students) and their walks with Christ and also say, "if this is what being a real follower of Christ is like, I want more..."
It feels like everyone is vying for the minds and hearts of college students. 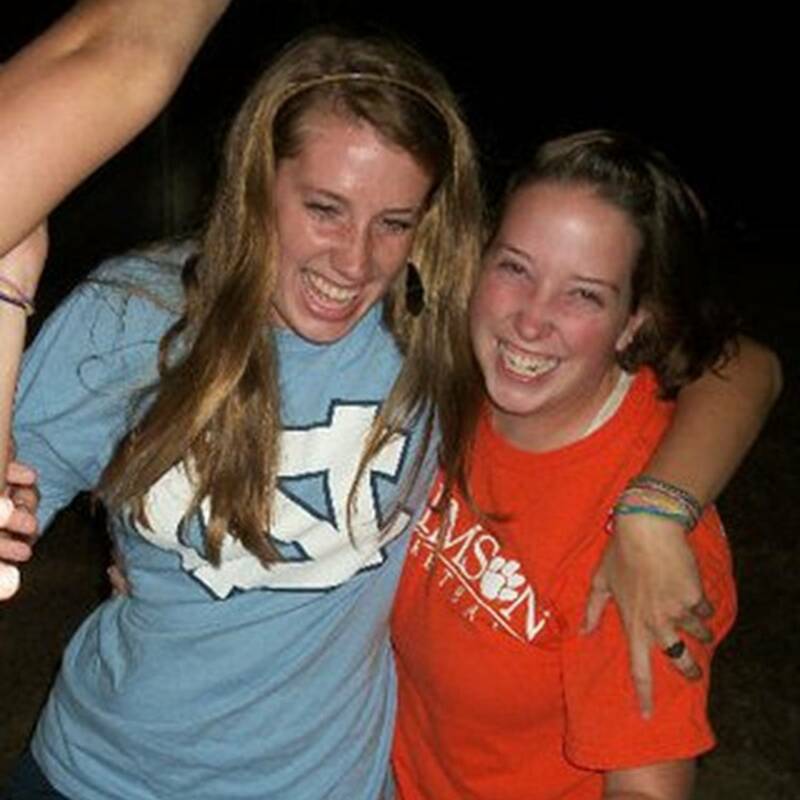 For us, it’s not about whether they get involved in Cru – it’s about the people they are and who they will be when they leave this very short time in college. Will they pursue knowing God while in college? Will they be more in love with Christ when they graduate? Statistically, most will not. Dawson MacAlister, national youth ministry specialist, remarked that 90% of youth active in high school church programs drop out of church by the time they are sophomores on college. In a report to the Southern Baptist Convention Executive Committee, T.C. Pinkney observed that 70% of teenagers involved in church youth groups stop attending church within two years of their high school graduation. Barna, George, Revolution (Tyndale House Publishers, Carol Stream, IL, 2005), p. 48-49 Pinkney, T.C., Remarks to the Southern Baptist Convention Executive Committee, Nashville, Tennessee, September 18, 2001. 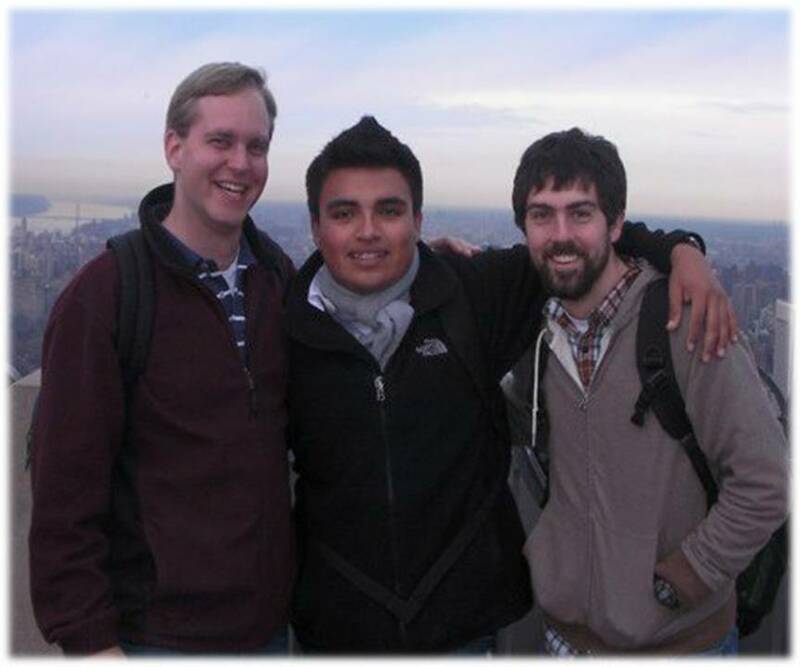 Please pray for new students we meet through the outreaches. We literally have hundreds of contacts. Pray that the students who are interested in discussing what it means to follow Christ or joining a Bible study would connect with our Cru students (or other solid campus ministries). Last night we spent about three hours having dinner and conducting training with our Bible study leaders. They were preparing to help give away over 500 water bottles, Bibles, tote bags, etc. to new students in exchange for a brief survey on their spiritual interests. During most of this time, our girls camped out in the back of the room watching videos on the portable DVD player and eating yummy "student food." Occasionally Gracie would come up to the meeting part, crawl up on one of our laps and listen in to the training and student responses. Towards the end of the meeting- the groups (each Bible study has 2 to 3 leaders) gathered together to pray for the outreach and that God would fill their studies with new students. This morning Pete was talking to Gracie about the day. He asked, "What was your favorite part of the meeting last night?" (amongst the typical answer "the videos," we got an sweet unexpected response). Gracie replied, "I liked listening to the students pray." Monday is kick-off at UNCG where we are set to give away 500 hundred books and water bottles. The day after (Tuesday, Aug 24) we have a huge event planned - the largest we've been a part of at UNCG! Cru leaders have managed to get ***the Quad*** for a free cookout!!! There’s a man in Winston (Nat) who has a heart for using his business to further the gospel. He is providing burgers, dogs and chicken legs for ***500*** students. We're providing veggies, paper goods, etc. Prayers appreciated for good weather, great conversations and all the parking, campus security, admin etc. to run smoothly. Ultimately, we want this burger (hot dog or chicken leg) to turn into the soul-satisfying relationship with Christ! There’s the “bumph, bumph” of music coming from across the sidewalk. 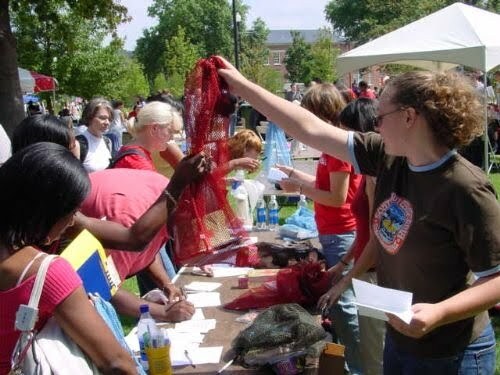 In an area that more resembles a carnival than a college, staff and students from Campus Crusade for Christ invite passersby to stop for a moment for a survey. 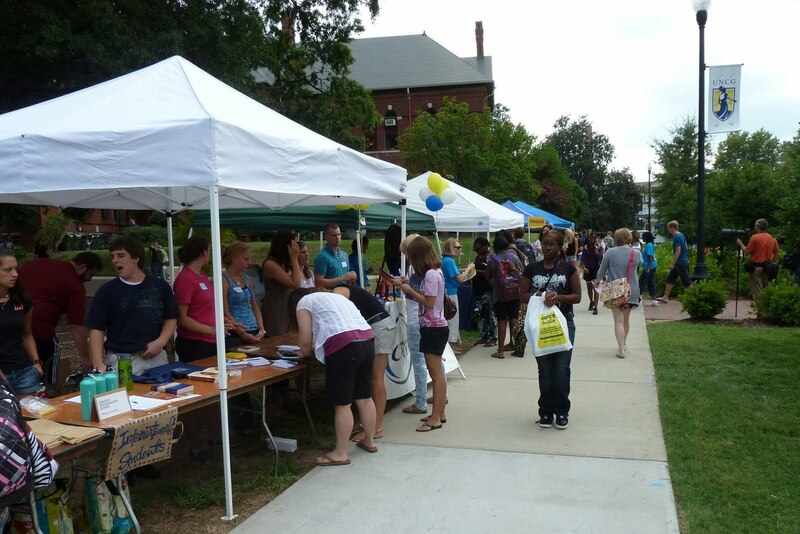 It’s the first days of classes and the university is holding a student activities fair. Any official organization has the option of setting up a booth. That’s why we’re here. Some walk on by but many stop and answer five simple questions about their beliefs. For some students, it seems like the first time they have had real eye contact all day. The number of tents and booths along this side of the student center showcase the true issue of today’s college students. They are surrounded by choices. Our heart's desire is to see students make excellent choices - choices to serve God instead of themselves, to trust Him with their whole being, to live a life worthy of their calling. Pray for us as we plan for the fall and all the students we will be meeting. International Students, Here we come! We are so excited to introduce Kimi to our Triad Team! 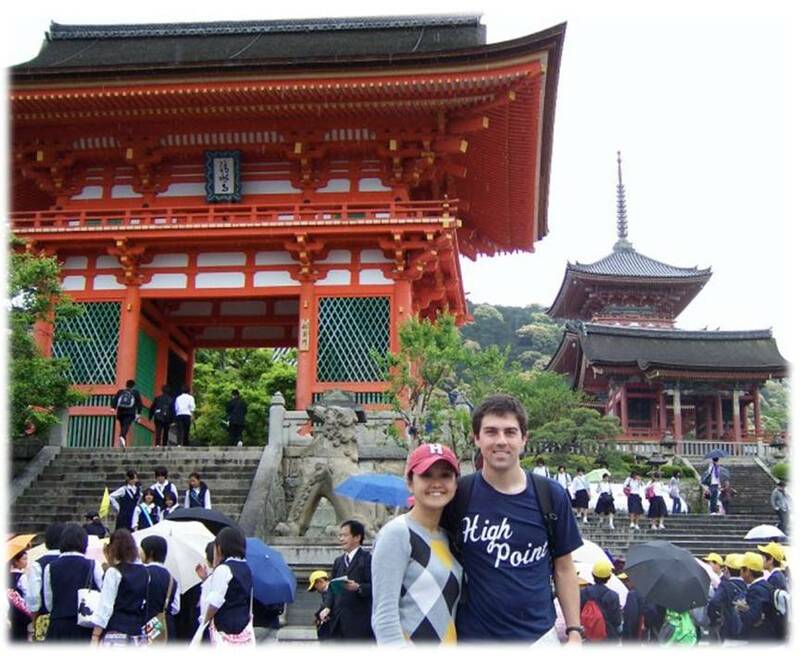 Kimi recently married Adam (new staff member and recent graduate of High Point University). She is passionate, energetic and a pleasure to have on our team. 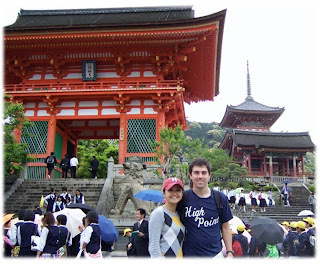 As a former international student from Japan, she knows the power of a relationship with believers. Kimi found faith in Christ during her years as a college student in the United States because someone who truly followed Christ pursued a friendship with her. Kimi will be working on several campuses that have the highest concentration of international students - including UNCG! 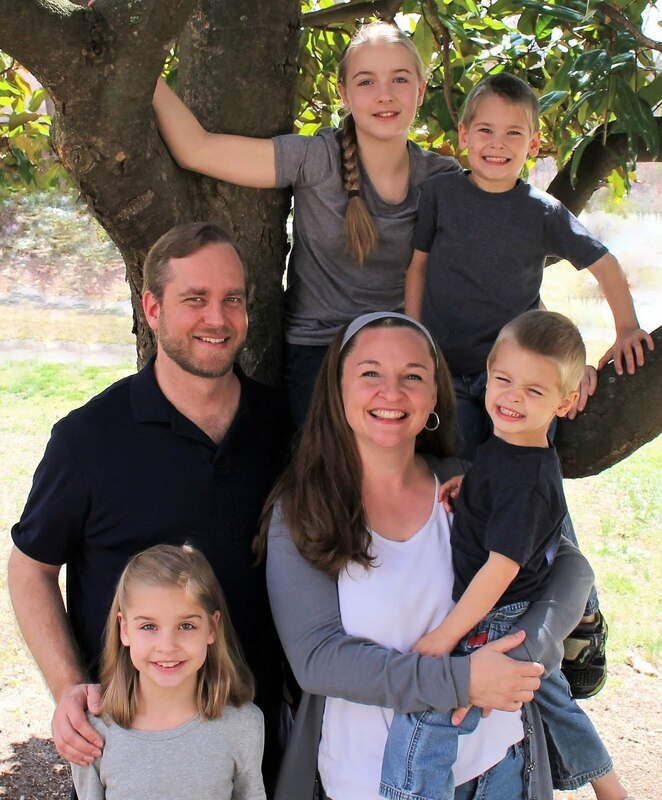 The best part about being on staff with Campus Crusade for Christ is the flexibility for moms. Most of my ministry is "behind the scenes." I coordinate a number of aspects of Fall Retreat, draft our prayer letters and make food for student meetings (we make a lot of brownies in this house LOL). But one of my favorite aspects of ministry is mentoring two of the student leaders at UNCG. 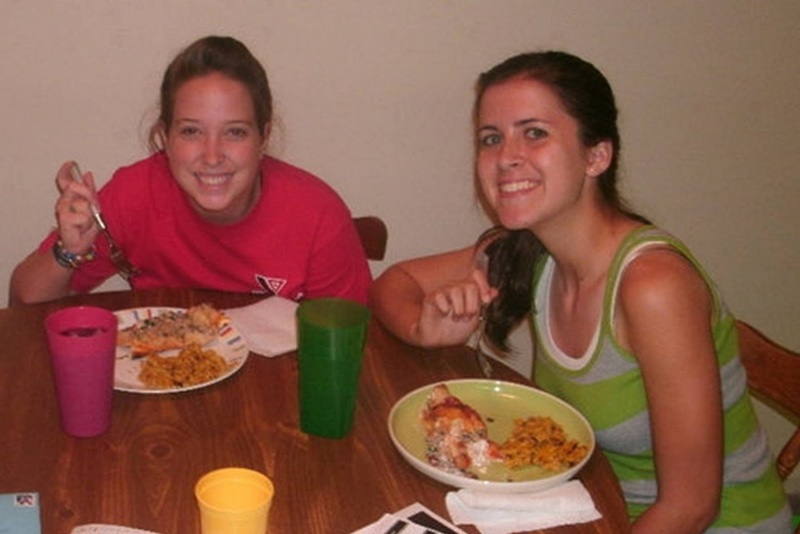 These awesome young women come over Monday nights. We spend time together on content (like authority of the Bible, the attributes of God, etc.) then they take turns having some one-on-one time to talk about specific issues (boundaries with guys, dealing with stress or conflict and family challenges). They come over after the girls go to bed so there's no stress of coordinating schedules with Pete and no "mommy I need..." interruptions. Pete's usually down in the office by the time they head back to campus. I often (almost always) plop down on the chair beside him and say, "I can't believe I get to do this as my job!" Over Spring break, Pete hopped on a bus with 50 of our Triad students from High Point University, UNC Greensboro and Wake Forest to join other Midsouth “CRU” students to reach the 1,000,000 college students in New York City. In NYC, Pete led a team of five students to gain new ground in Harlem at the City College of NY (one of the most diverse colleges in America and the Alma mater of eight Nobel Prize winners). At CCNY, Pete had the privilege of watching his team engage in spiritual conversations with the myriad of busy and intensely driven students. On the last day at City College, Pete and David (UNCG student), had an hour long discussion with a Jehovah’s Witness and a Muslim, simultaneously. Both were immigrants from Africa and long time friends. The Holy Spirit was certainly at work. Despite multiple topics, view points and plenty of rabbit trails, both young men were challenged to consider the truth of Christ. Pete challenged one of them to critically study the origins of his faith in contrast to Christianity, while David explained the Gospel to the other. The conversations were overwhelming at times, but they really taught the students to depend on the Holy Spirit for guidance and for the results! The NYC trip was an awesome time of watching and challenging our students to engage with others who don’t have the same “Bible Belt” background. At least 13 students accepted Christ as their Savior that week and many hundreds more heard clear presentations of the Gospel – some for the very first time! It’s hard to say which was more exciting to see… the NY city students coming to Christ, or the transformation that took place in so many of our Triad students as they caught on to the fact that the Lord can use them so mightily to transform the nations!